Wales is a country in southwest Great Britain known for its rugged coastline, mountainous national parks, distinctive Welsh language and Celtic culture. 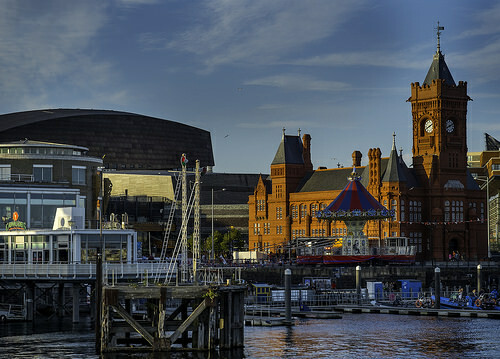 Wales is birthplace to Dylan Thomas, Aneurin Bevan, Owain Glyndwr, Richard Burton, Gareth Edwards, Sir Tom Jones and Dame Shirley Bassey, is home to the capital city, Cardiff, a fast growing capital city and a refined coastal city with a nightlife scene and a medieval castle with ornate Gothic Revival interiors. Cardiff is home to the Millennium Stadium (Principality Stadium), Millennium Centre, The Senedd, Cardiff Castle, Motorpoint Arena and the Cardiff Bay area as well as many other Things to do in Cardiff. Wales is rich with Castle, Mountains, Scenic Views, Adventure Attractions and many other things to do in Wales. In the northwest of Wales, Snowdonia National Park has lakes, glacial landforms, hiking trails and a railway up to the peak of Snowdon as well as many other Things To Do In North Wales. For Things To Do In Cardiff See the Things To Do In Cardiff Business Directory! To advertise on the Things To Do In Cardiff business Directory please follow the link.